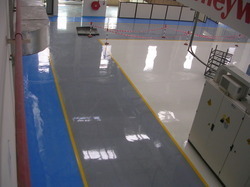 Offering you a complete choice of products which include car park coatings and anti- static flooring. Cipy, the architects and pioneers of floor coatings in India, since 1976, offers the most comprehensive line of multi-polymer deck coatings employing a myriad of technologies such as epoxy, PU, MCU and polyaspartics. With over 1 billion sqft flooring installations nation wide, covering a wide spectrum of industries, you can trust in the knowledge, the experience and the expertise of four decades of Cipy's flooring leadership in India. Cipy Deck Floors protects the concrete, bridges the cracks, prevents water infiltration and provides anti slip surface. 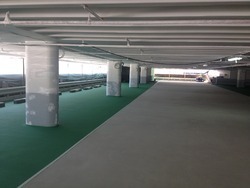 These systems are ideal for parking stalls, driving aisles, turning lanes and ramp areas. Delivery Time: 5-6 days after 100% advanced payment. Packaging Details: 5litre, 20litre buckets are available. 200litre drums. Electro-static release (ESD) represent a risk to touchy electronic hardware particularly in conditions that handle unstable gases, powders, fluids.